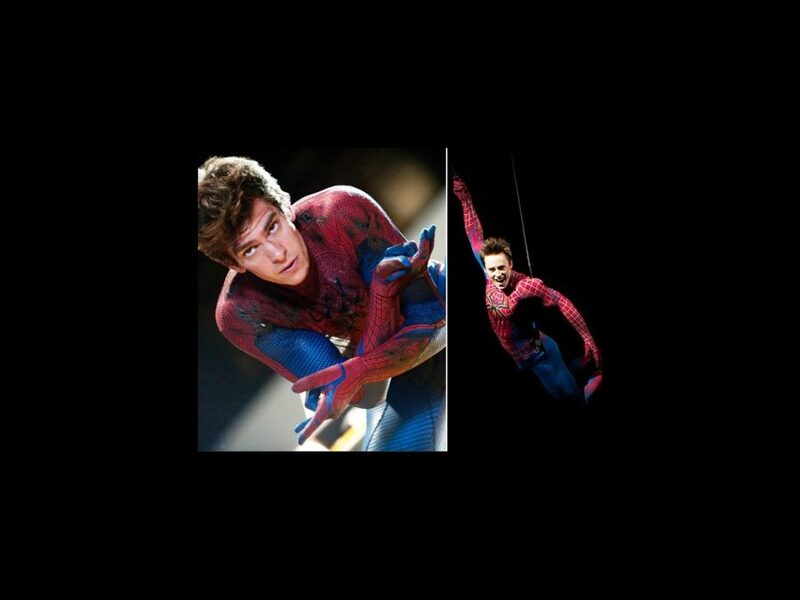 Reeve Carney has been dazzling crowds as teenager-turned-superhero Peter Parker since Spider-Man, Turn Off the Dark begin performances in 2010, so it makes sense that Broadway's resident webslinger would be the first in line to catch Death of a Salesman alum Andrew Garfield in The Amazing Spider-Man. Broadway.com recently chatted with the actor, who couldn’t stop gushing about the hit Hollywood reboot. Like the new movie, Spider-Man, Turn Off the Dark follows the story of Peter Parker, whose ordinary teenage life takes a turn for the extraordinary when he’s bitten by a genetically altered spider and suddenly finds himself endowed with incredible superpowers. Whereas the Broadway show concentrates on Spidey's battle with The Green Goblin and romance with Mary Jane Watson, The Amazing Spider-Man introduces the villain The Lizard and girlfriend Gwen Stacy. The summer blockbuster set a record with its first-day grosses on July 3, earning $35 million. Carney is convinced that the Marvel Comics creation is a classic superhero tale that keeps audiences coming back for more. “It's a testament to Stan Lee and his characters that we still care so deeply for them 50 years later,” Carney said. “I've already seen the film twice and can't wait to see it again. Probably next time in 3D/IMAX!" Spider-Man, Turn Off The Dark celebrated its one year anniversary on June 14 and is, according to the show's press team, the fastest show in Broadway history to reach one million audience members.